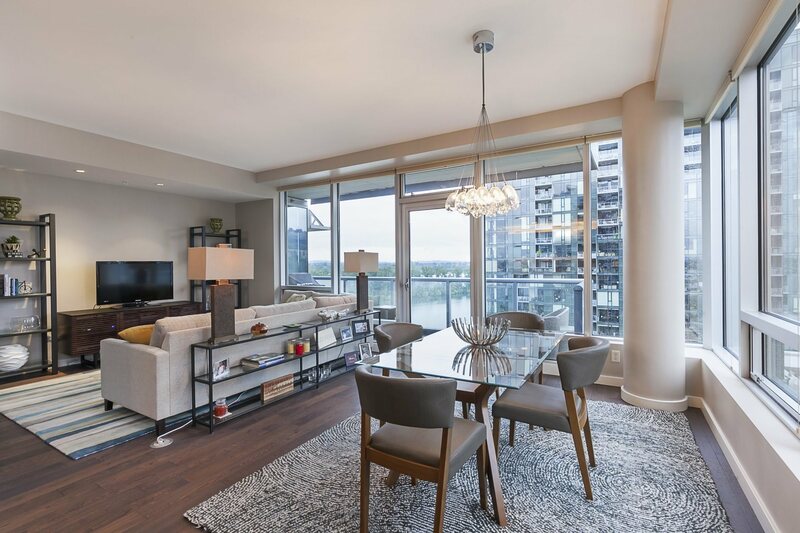 Stunning one bedroom + den home in the South Waterfront’s Meriwether Condominium! Beautifully remodeled with sleek modern finishes, custom cabinetry, and wood floors throughout. Updated gourmet kitchen with large island and plenty of storage. Highly sought-after floor plan with spacious master bedroom, flexible den space, utility room, large deck and amazing views of the Willamette River & South Waterfront. For questions or to schedule a showing contact Kirby Arkes at 503-706-0854, or [email protected].